Protecting a Post of any type (e.g., Post, Page, Product) will protect the permalink leading to that Post. It will also protect any other child Posts in a hierarchy. For instance, protecting a parent Page also protects any child Pages, and protecting a bbPress Forum also protects all Topics/Replies in that Forum. This works for any type of Post in WordPress, including Custom Post Types. This is where a new Restriction can be created, and you'll find a meta box here where Posts/Pages can be protected by any given Restriction that you create. You can choose one or more Posts (of any type) from this list. 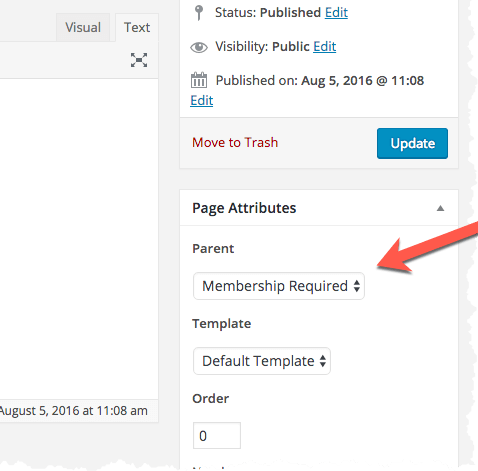 Whenever you create a Page in WordPress and set the 'parent' Page to one that is already protected via WooCommerce Restrictions, that will automatically protect the new child Page that you're creating; i.e., you don't need to go back and reconfigure any Restriction settings this way.